$34.99 COUNTERTOP SALE Virginia Maryland DC Save 40-60% Granite Countertops Fast Quotes! $34.99 COUNTERTOP SALE Virginia Maryland DC Save 40-60% Granite Countertops Fast Quotes! Granite Kitchen Countertops. Granite Countertop Sales. Have you ever been to a house whose kitchen or bathroom had been remodeled using granite countertops? Well, you agree with us that the use of these natural stones enhances the beauty and the value of the house by a very big percentage. Generally, the use of granites has been a practice that has been ongoing for many decades now and the number of homes using this material is growing by the day. There has been a great need for the countertops especially those that are made of cheap granite and not only so but also where people can get both quality and quantity as far as choice options are concerned. You can consider one of the best price granite In Virginia Maryland DC if you are a resident there or others scattered all over the country. Why countertop warehouse in Virginia Maryland DC is the ideal place for your purchase One of the best things though about this particular warehouse is that there are over a thousand colors of granites that you can have access to easily. This is unlike many other small shops where getting the varieties to choose from is always a difficult thing and one has to waste a lot of time and energy moving from one warehouse to the other. The countertop warehouse In Virginia Maryland DC operates not only for the purposes of sale of granites but also for installation and fabrication especially in the light of being a major importer of this natural stone and many others. The use of granite countertops as aforementioned has risen with many homeowners recognizing the place the material occupies in the overall remodeling work. According to a survey carried out some few years back, houses that have been remodeled with granite had a higher resale value compared to others built using other different materials. The granite warehouse has realized this plus the difficulties always associated with the obtaining of the material at the most affordable prices. If you are looking for cheap and quality materials, then you should consider this warehouse as your one-stop shop for granite sale of all colors and sizes. What makes it possible for the countertop warehouse in Virginia Maryland DC to provide inexpensive granite material? 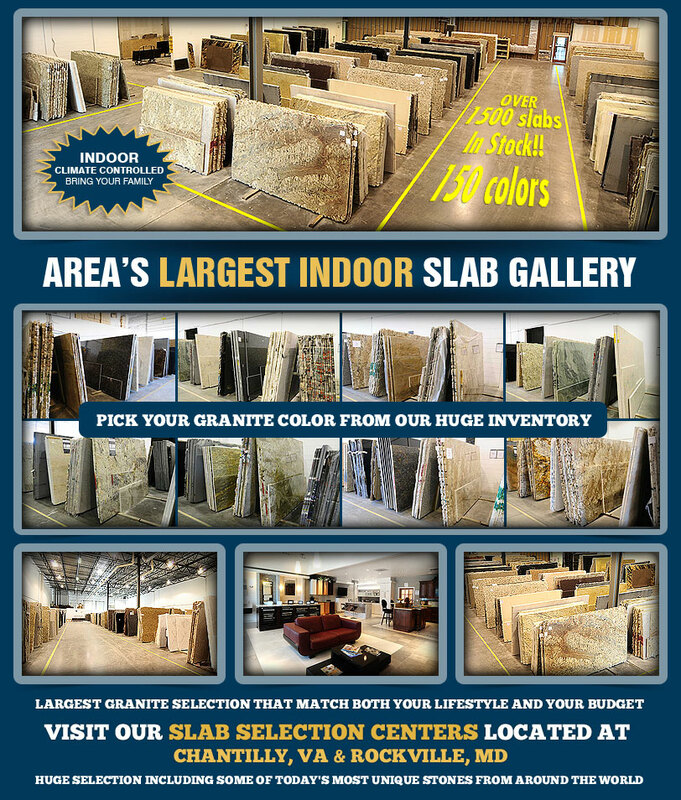 If you are looking a wide and easy selection of granite slabs, then you should consider coming to us for the best offers in Virginia Maryland. We are involved in the importation of finest quality granite stones from some of the well known quarries around the world. This enables us to offer these natural stones at the lowest rates in the USA while at the same time ensuring a quick fabrication of countertops for our clients. We also operate some of the latest fabrication machineries that enable us to offer you quality work and give guarantee of smoothly cut slabs. One of the toughest problems for many granite seekers is that they get frustrated when they cannot find a wide variety of colors to choose from especially considering the existing interior décor of their home. But in our countertop warehouse In Virginia Maryland DC, you will get all that you need within a very short time. We do not deal with middlemen and therefore we save you time and cost for your rebuilding work. You can contact us for more details and services that will leave you satisfied. 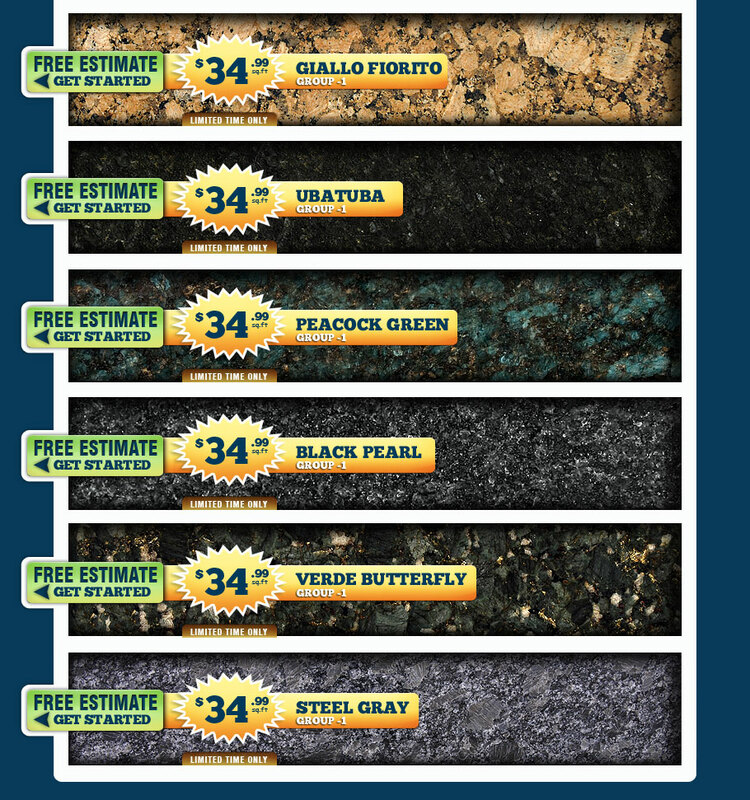 Get a Granite Countertop Free Estimate. Chantilly, Alexandria, Springfield, Lorton, Woodbridge, Mannassas, Centerville, Haymarket, Reston, Herndon, Ashburn, Leesburg, Vienna, Oakton, Annandale, Fairfax, Mclean, Silver Spring, Bethesda, Potomac, Rockville, Germantown, Gaithersburg, Bowie, Sterling.